The next LaunchUp Las Vegas event is taking place Tuesday, August 18, 2015 from 6:30-8:00pm at The Innevation Center. The event will be sponsored by Lyft, whose team is excited to connect with the #VegasTech community. Lyft is eagerly anticipating their Las Vegas launch, and will have amazing swag on hand at the event for all in attendance. 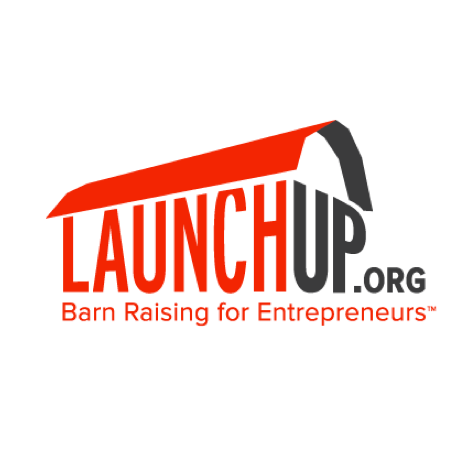 LaunchUp events are free and open to all interested in entrepreneurship. The non-profit organization started in Utah and expanded to the #VegasTech ecosystem several years ago. The team at The Innevation Center will be hosting the event in their space located at 6795 South Edmond Street. “LaunchUp is a great opportunity for local entrepreneurs to gather, collaborate and support one another which is precisely what Innevation Center is all about and the reason we’re happy to host this terrific event,” said Chelsea Phillips, Director of Innevation. Zachary Conine, Principal/Co-Founder at Joseph Beare & Company, will keynote the event and speak about the Unmanned Aerial & Robotics Resource Center (UARRC). This project is an incubator for Commercial Robotics/UAS companies based in Las Vegas. It is a creative redevelopment of Cashman Center into an incubator space for the Commercial Robotics/UAS industry. It aims to be a nexus for industry development, entrepreneurialism, innovation, and STEM education in Southern Nevada. “Events like LaunchUp help entrepreneurs hear from other entrepreneurs about their successes, failures, processes and plans,” said Conine. “Much of what became UARRC was based on feedback we got from talking to experts in the space; LaunchUp type events help provide a forum for that feedback. In his keynote, Conine will be sharing story of the Unmanned Aerial & Robotics Resource Center (UARRC). Conine says the most common misconception about the project is that UARRC will be focused completely on Unmanned Aerial Systems (UAS) or drones. However, UARRC is focused on all commercial applications of robotics, including manufacturing, agriculture, consumer technology, artificial intelligence, driverless cars, and whatever else the great minds we’re working with invent. Following Conine’s keynote, two local early-stage startups will present what they are building. The format for startup presentations is 7 minutes talking about the startup, team, challenges, and wins followed by 7 minutes of Q & A with the audience. The startups presenting at the August event are yDecision and Nihongo Master. yDecision leverages the knowledge and experience of your team to make smarter decisions with a familiar and easy to use interface. Nihongo Master is an online social platform for learning Japanese. Register to attend LaunchUp Las Vegas on August 18, 2015 here.